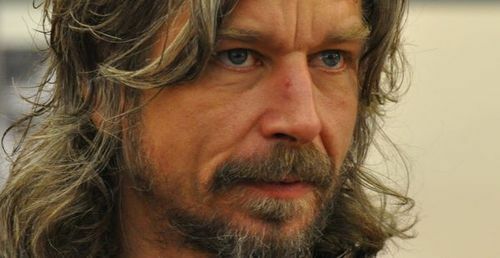 Two of my current heroes, Karl Ove Knausgaard, author of My Struggle, the six-volume, 3,600-page Norwegian novel about a man writing a six-volume, 3,600-page Norwegian novel, and Michael Silverblatt, the brilliant and super-humane host of the public radio show “Bookworm,” recently sat down for a conversation that indirectly but powerfully cuts to the heart of why Root and Branch was created. Silverblatt is a master of leading writers into revealing and vulnerable places by allowing himself to be vulnerable in a way that never feels self-indulgent or performative. Listening to his show is eavesdropping on some of the most intelligent but simultaneously gut-affecting conversations I’ve ever heard. Knausgaard’s epic has received crazy amounts of critical praise, with people calling it things like “perhaps the most significant literary enterprise of our time.” I’ve only read the first of six volumes so far, but I’m hooked. He alternates hyper-focused, non-metaphorical descriptions of everyday life in all its overwhelming mundaneness of detail, an unbelievable level of emotional honesty and directness, with occasional musings on death and art and meaningfulness. In this interview/conversation, they both admit to struggling not only with the feeling that their own lives are meaningless, but also with the sense that everyone’s life is by definition meaningless. By soaking himself and the reader in a 3,600-word bath of boring details, Knausgaard was trying with My Struggle to restore a sense that changing your child’s diapers for the thousandth time (Norwegians are more enlightened on the gender front), could be a site of truth, beauty, and ultimate significance. Silverblatt says that his interest in the lives of other humans was reactivated by reading Knausgaard. The problem with our time, according to Knausgaard, is a spiritual one. What’s so interesting to me, is that he reverses the traditional lament of decline, which says that we’ve lost a sense of “spiritual” reality. You could say that he thinks that in becoming good secular scientific modern people we’ve actually become too “spiritual” - that we’ve thrown an air-tight tarp of ideas, images, thoughts, words - creations of the human mind or spirit - over reality, and we’ve become cut off from the concreteness of other people and life itself. In one passage he associates religious art with the lost belief that there was something beyond the human that mattered essentially for our lives. He thinks religion today, like contemporary art and science, however, has become just as divorced from a true beyond that is also what throws us out of our “spiritual” heads into real life. Sharing not just our “big” stories, but the everyday details of our lives with one another, can save our lives. Church used to be a place where this could happen for people. I think it still can, if we are thoughtful and honest about the need to go about it in a new way. At the end of the day, it’s not mainly about thinking deep theological thoughts, contemplating the right doctrines, saying the right words, or meditating on holy images of otherworldly glory. It’s about truly encountering the simple miracle of each other and of the world itself, which includes not just life but life’s beyond, death, and maybe even death’s beyond… Christianity is so compelling as a story and tradition for me because it relentlessly asserts the reality of the physical, the material, and gives it ultimate, holy significance. Going to church for me restores the reality of the everyday, and the sense that my weird, tiny life has a meaningful place in this whole strange mess. Interestingly, Knausgaard has also written a novel about angels that drew heavily from the Old Testament, and he was involved in a recent translation of the Bible into Norwegian. And yes, he looks like Aryan Jesus, at least in some photos.